It is not always straightforward what value or valuation really means. In the startup world, everyone is talking about it, tech news are filled with funding round valuation analysis and exit stories. Yet the talk often only touches the surface of what there is to know about the valuation of early-stage investments, or even the valuation of any company or asset. Value is a figure that indicates what benefits a company or asset will bring to the prospective or current owner. The intrinsic value cannot be known exactly. A valuation, which involves the calculation of the company’s or asset’s value takes place under this assumption, and therefore names the resulting value: market value, fair value, investment value, and so on, dependent on the transaction and scope of that valuation. Price can variate from value due to misinformation in the market, different negotiating power of the parties involved, market trends/ hypes and competition or lack thereof among acquirors, as well as goals of the negotiating parties that are not cash-related (which could make the parties more likely to compromise). Most believe that valuation at early-stages mostly depends on negotiations, but this is only true if there are no facts and validation to support a more structured approach. These facts are not easy to find but they exist, and validation of the market, competition and exit possibilities can be carried out. Valuation is not a static value, it changes whenever factors such a strategy and market trends change, and it can change based on the scope of that valuation (who the acquirer or financier is and the terms of that transaction). Carrying out a valuation is about processing all the information concerning the company and the transaction: the output is not just a number or a multiple, but why and how you arrived at a certain number, which gives the investor or founder information about the startup story and suitability of an investment. Even if we hear funding narratives where mostly the pitch quality and team come to light, and where the investor’s instinct plays a large role, numbers and exit market trends are at the very basis of investment decisions. This is compatible with the reasons to start a business or to invest in a business: the ultimate goal is to earn a return, and if a return would not be foreseeable or expected, you would not start that business or invest in it. Preparing a financial plan is based on a strategy and if that team does not validate or carry out the strategy and tasks that they are set out to do, or is able to react fast to market changes, a financial plan becomes redundant. However, investing in a product, company or market where the return or chances to succeed, despite future product adjustments, will be low, does not seem like a good strategy either. The only benefit that a financial investor with dividends receives from these types of investments is cash: this liquidity will only manifest itself in an exit, and therefore that is where all the value comes from. An investor can exit at a future funding round in some cases, but that value will still depend on the new investors’ value expectations. What shapes startup investing is also the trend of following leading investors, meaning that less experienced investors are very likely to follow recommendations or to only co-invest with leading investors, which concentrates funding in certain sectors and leaves other sectors dry based on the latest trends, and FOMO (Fear Of Missing Out): startups in hyped sectors or that promise large disruptions in the market can more easily find investments and support. Investors know that often 80% of their returns comes from 10% of the companies in their portfolio, so these investments are highly sought out, and because the portfolio winners are needed, even overvalued. Sometimes this takes place to the detriment of businesses that can achieve profits much earlier, are more stable but look boring, but that is simply how the business model of early-stage investors is set out, for very good reasons. Valuation of startups and early-stage investments is a practice in development, and will likely change together with the changes in startup fundraising and exit trends. If the way liquidity is achieved (a long-term exit), the amount of capital a fast-growing startup needs, the contract terms, and generally VC financing trends all change, prices will also change, but also values, because the characteristics and size of exits changes too. 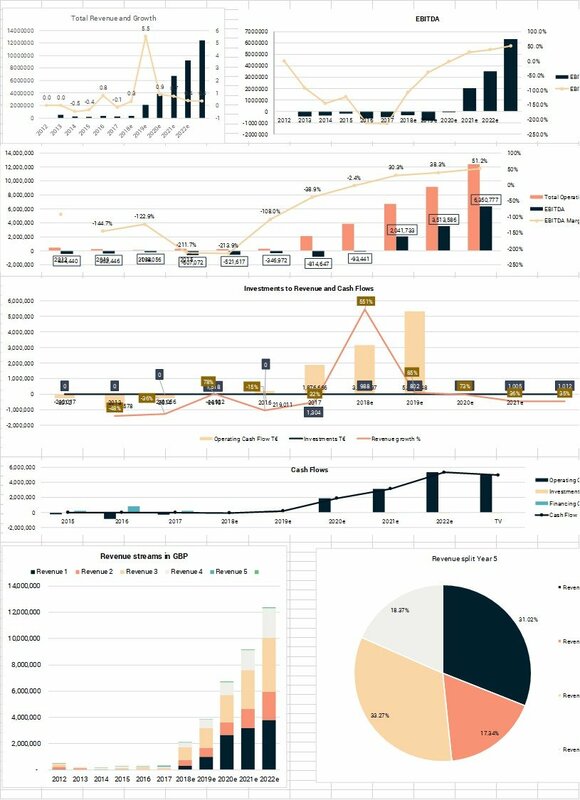 Initial Coin Offerings (ICOs) have shown an interesting experiment of what happens if you change the rule of the game, which opened up a world or higher liquidity and earlier exits, higher misinformation and risks, different investment strategies and motives, fast changing legal frameworks and higher global investment flows, which influenced the price of the single investments. However, for many of these companies, the assumptions on which the high values were based, were mostly speculative, and involved a higher participation in these markets, which was unrealistic. The value of some assets that do not generate a direct increase in liquidity, instead, may have a value that is difficult to realise. For example, money has a value, it’s not only the little value of the paper or coin itself, its value mostly lies in its function, which is immense. For as long as we keep using it. We can trade every day, have secure and clear transactions and liquidity: money makes every transaction go faster than if you had to trade assets: that in itself creates more time and benefits to you and others. Whether cryptocurrencies also have this function (and therefore value) will depend on its acceptance as payment. Most of the companies, assets or things we try to assess, have a price depending on the function that we assign to them. If the function materialises and is realistic, we can say that it also corresponds to the value of the asset or company. The value of a house mostly does not come from its single parts, but on the fact that it will be inhabited at some point in the future: the value of real estate does not change as much as the value of a new technology from year to year, because it is likely that our use and need of real estate will not change dramatically from year to year, like a technology may be become completely irrelevant when a better and cheaper technology enters the market. A store of value is also a function. The value of gold does not only depend on its use, which is far inferior that its actual value, but it serves as store of value because humans have collectively decided that gold can have this function. Its quantity is limited and therefore its value is more stable that a currency, which can be printed. A cryptocurrency may also one day become a universally agreed store of value, as the number of coins issued will be limited within its technology, but this would only take place if the circulation and value store function materialises as expected. Some place value on the technology itself. Today we can tell what its price is, which is the price that we assign to it, but hardly it value, because that may involve being able to see how our world would change in 50 years from now, unless we think that this change will occur much faster. What we can say for sure is that there is a value in it for as long as it is used, transacted and has a function. Bitcoin and other cryptocurrencies are an extreme example, but the same exercise can be carried out with a simple early-stage company. Valuing it correctly involves trying to see a little ahead in the future into what kind of impact a company can have in the next 10-15 years on average. We can measure the most likely outcome and additional possibilities which result in an income for the company (or future acquiror), how fast the company can grow and achieve its goals, and the internal and external risks involved in achieving all this. The world is changing faster and faster, so this is far from easy, but some markets and trends change far less than we expect them to. That’s why we may often see new hypes, new sectors that everyone will want to invest in, that do not materialise: because the likelihood of a new technology or trend changing our lives within a few years is unrealistic with how fast humans can adapt, and how a market structure can change in the short term. Some trends will materialse and some will not. That’s where sometimes we can identify mispricings, with a combination or financial, logical and sociological information available to use.